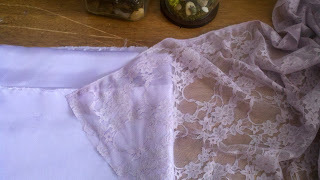 Sew Classic: Lace Fabric Secured! I have good news and bad news. The bad news really isn't bad except that I'm omitting a step from the PD sew along. But let me back up and start at the beginning. Yesterday, I met up with Ashley from Craft Sanctuary for brunch and a bit of fabric shopping. 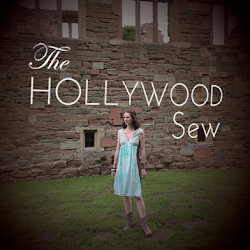 Everything went really well, including finding fabric for the sew along! In my mind, I figured there would be gobs of white lace and that would be the best option and from there I would dye it, but it turns out that there was a nice selection in all colors. They had some beautiful bright corals and pinks (which is what I was leaning towards), but I didn't really care for the pattern in the lace. 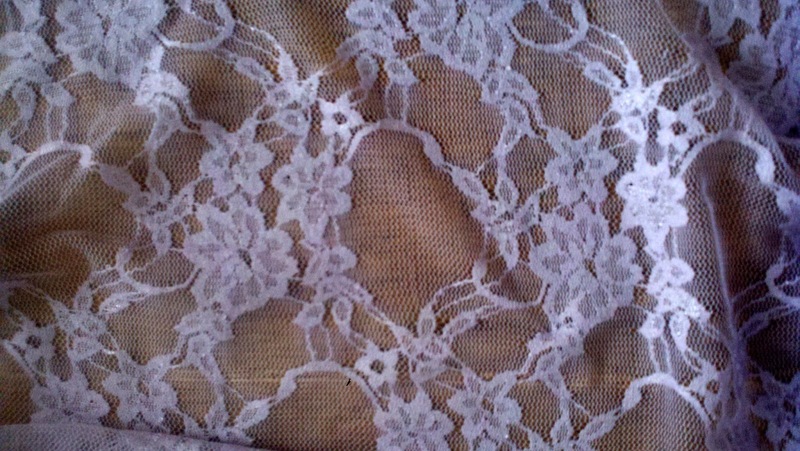 But then I found a beautiful lavender lace, and I fell in love. 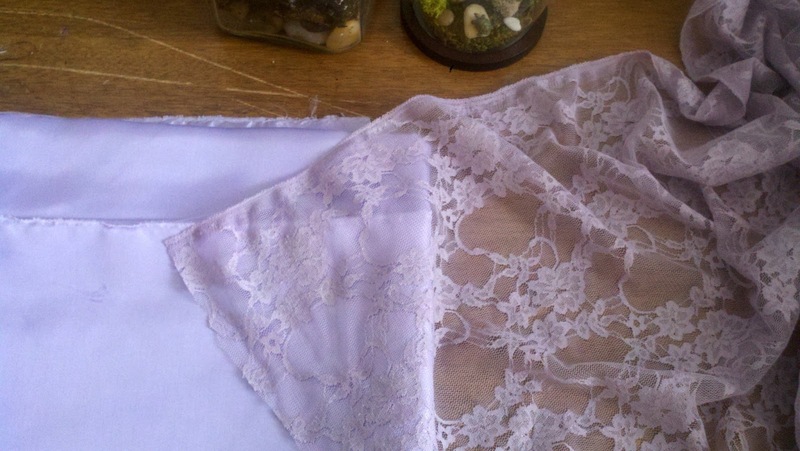 After my lace was cut, I went through and held the lace up to all the different colors for the lining. I knew I wanted it to be a close match, but I really loved looking through all the different contrasting colors as well. Finally I settled on a lavender lining. It's very close in color, which does tend to hide the lace rather than focusing on it, which is what I wanted. It also makes the lace look a bit gray, which is also what I wanted. I'm thinking of doing gray trim in spots, but we will see. Originally I was planning on dying the white lace I found. I was originally thinking I wanted to dye it naturally with tea or coffee, but then I was worried that it would be too similar to my skin color and it wouldn't look the best. Then I saw a beautiful pink lace dress and I thought that should be the color of my newly dyed dress, but I'm pretty pleased with the lavender. Dying will just have to wait for another project! Anyone else found fabric for theirs?